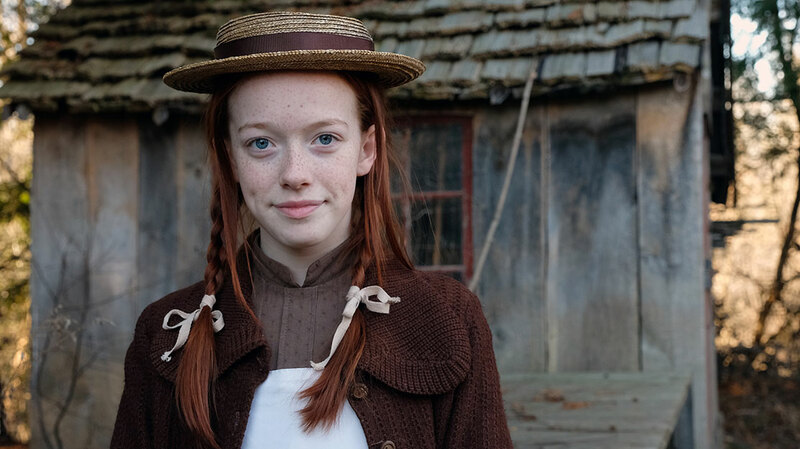 Amybeth McNulty has delighted viewers with her star turn in Anne with an E, the latest adaptation of Lucy Maud Montgomery’s novel Anne of Green Gables. Ahead of season two, she tells DQ about getting her big television break. Not only did season one of Netflix series Anne with an E travel across Canada’s picturesque landscapes, the drama also covered a lot of ground in introducing its poetic, outspoken leading lady. 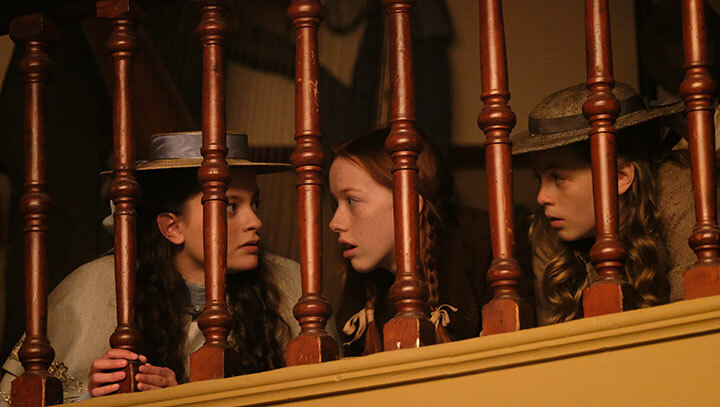 The latest adaptation of Lucy Maud Montgomery’s 1908 novel Anne of Green Gables, the series is set in the 1890s and tells the story of orphan Anne Shirley. 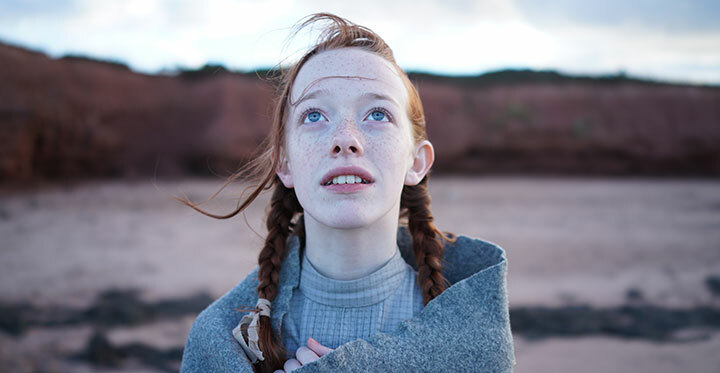 Played by Irish actor Amybeth McNulty, Anne is a delightfully energetic and upbeat 13-year-old with an impressive vocabulary. So how did McNulty, 16, deal with the tongue-twisting nature of the script considering it was her big TV break? The first season sees Anne find an unlikely home with a spinster played by Geraldine James and her soft-spoken bachelor brother (RH Thomson). Having spent most of her young life being passed around from home to home, the chance of becoming part of a family is a breakthrough moment for Anne and forms the basis of the series. McNulty reveals she read the original novel when she was nine, so was already familiar with the story prior to bagging the part. But having to memorise a four-page monologue for her audition was a baptism of fire and stood her in good stead for the rest the first season. Despite each of the seven episodes being penned by a different writer, McNulty’s delivery is consistent and infectious. In the first episode alone, she gets through more lines than some characters do in entire seasons of other shows. The story of Anne’s troubled past is told through the use of flashbacks, some of which are distressing bullying scenes. Despite the story being a century old, many of the issues thrown up are relevant today, such as those of identity, prejudice, feminism, bullying, gender parity and empowerment. Anne’s relentless imagination also helps her to escape certain situations, offering another interesting storytelling technique. While the clever writing is one of the main assets of the Netflix adaptation – showrun by Moira Walley-Beckett (Breaking Bad) – the costumes are also key to doing Montgomery’s story justice on screen. Anne’s straw hat and travel bag, for instance, are particularly poignant symbols of her previously unsettled existence. Reflecting on her costume and fake face freckles, McNulty says the whole package helped her to make the character her own. “It gave you a whole vibe itself. The carpet bag, the stockings were dirty, the bloomers and the vest – they were all filthy,” explains the actor. In one scene, when Thomson’s character offers to hold Shirley’s bag, she politely refuses due to it being broken and having a “knack” to it. “Anne’s bag is a symbol of comfort, the way only she knows how to hold it,” McNulty notes. Seeing the young actor out of character is intriguing considering she embodies her role as a 19th century teenager so well. And with McNulty a newcomer to the world of TV, the part could have been considered a daunting first job on screen. “I don’t think it’s been challenging, it’s been more exciting,” she says. “I have a project hopefully coming up in September where I’ll be playing a new character, which will be very strange as I’ve played Anne for a couple of years now. She adds that James and Thomson were influential role models on set and taught her a lot as mentors throughout the process. Anne with an E was reportedly the fourth most binged series on Netflix last year, so it’s no surprise the show returns for a second season this Friday. Produced by Northwood Entertainment, it will also air on Canadian pubcaster the CBC in September. Asked whether having the whole season available at once is a good thing as season two’s debut approaches, McNulty says she’s just looking forward to seeing what people think of it.